ARI DRIVING SCHOOL is a small family-run Brisbane driving school dedicated to producing excellent drivers. Our institution was established in 2001. We decided to branch out on our own after a few years of instructing aspiring drivers. With over 13 years of experience in the driver training industry, an amazing 90% of our clients are referrals from our old students! We pride ourselves in giving our students the best learning skills possible to keep them safe on the roads. With our experience and talented staff, it would be difficult to find another school that comes close to our level. We offer flexible times, top-rate driving lessons, a variety of manual and automatic cars to choose from, and a guarantee that you’ll learn how to drive the fast and easy way. We teach our students in luxury cars fitted with dual controls for their safety and comfort. As you begin your learning journey with us, we will gradually teach you everything you need to know to continue driving safely. After a few weeks of progress, you can obtain your licence! 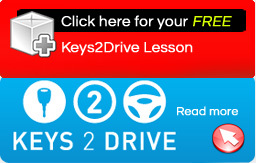 For more information about driving lessons in Brisbane, inquiries, and bookings, please call us at 38630711.